Enhance Your Vision. Call Now! 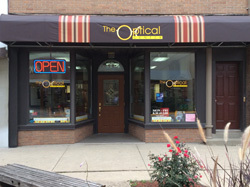 The Optical Center of Marshalltown, IA proudly serves customers with quality eyewear at fair prices. We fill external prescriptions and provide eye exams for new prescriptions in preparing your order. Our staff strives to provide you with eyeglasses that suit your facial type and lifestyle, as well as a variety of comfortable contact lenses. After a purchase we will continue to serve you by providing prompt in-house repairs for glasses, so that you are not without proper sight for a long period. Regardless of your needs, we will help you see clearly! 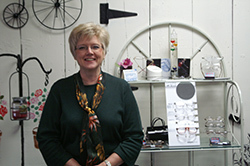 Owner and manager Julie Schossow is an independent certified optician with over 35 years of experience in her field. 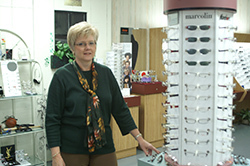 She is a native resident of Marshalltown who decided to open her own optical store in 1997 after longtime colleagues retired. Call 1-888-700-5042 toll free for your eyewear needs today! We are committed to serving our customers to the highest degree of professionalism and quality service. Call today for an eye exam from an Independent Doctor of Optometry. Call 1-888-700-5042 Today for your Eyesight! Opticians are trained to fill eye wear and contact prescriptions written by Ophthalmologists and Optometrist. They help with frame selection to find just the right frame for your features. Additionally, they work with patients to determine which corrective lenses are best for your prescription needs. Our Opticians are trained professionals with many years of experience serving patients. We want to work with you to make your eyesight the best it can be. 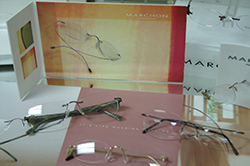 We can assist you in discovering your eye wear needs. If you need corrective eye wear but would rather not rely on glasses, speak with one of our opticians about contacts. Contacts rest on your eye and cannot be readily seen by others. They are unaffected by rain and are convenient for wear during sporting events. In addition to fitting you with contact lenses, we can answer questions you may have about contact care, replacements and prescriptions. Our goal is to ensure your complete satisfaction with your experiences with us. We will work with you to discover your exact wishes regarding your eyewear needs. 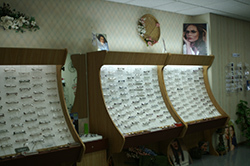 Whether you’re looking for glasses, contacts, sportswear, sunglasses or any other kind of eye wear, we can assist you. All of our services are tailored to fit your lifestyle and your wishes. Please come to us with any questions, comments, or concerns you may have regarding your eye wear and you will see The Difference is Clear!